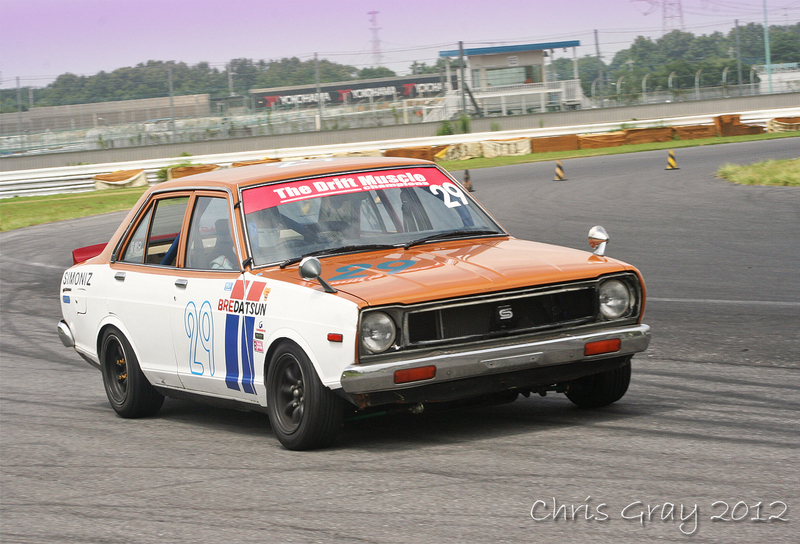 One of my final posts about the recent Drift Muscle, Tsukuba Event! 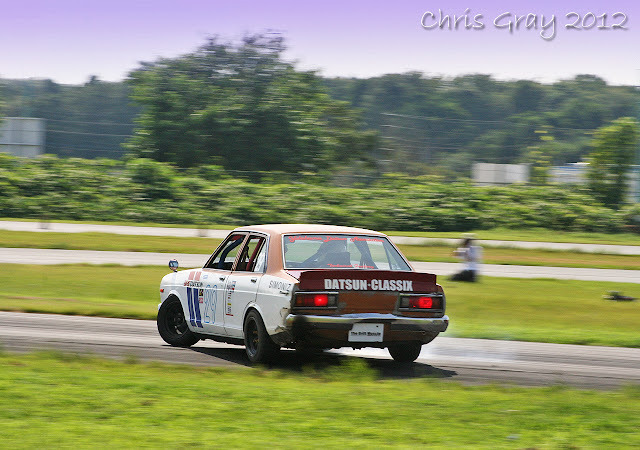 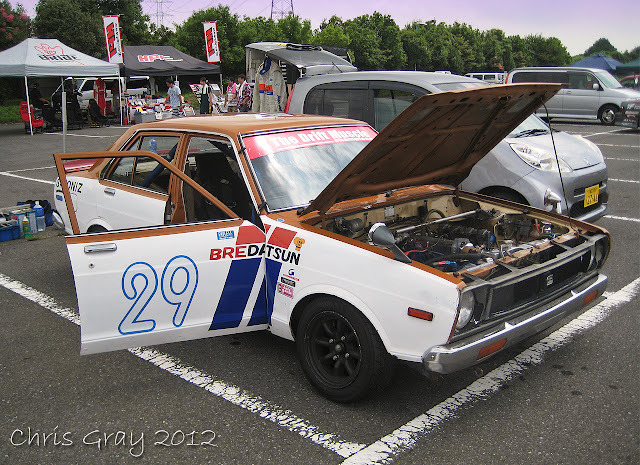 A Dirty ol' Datsun running N/A on FCR Carbs quickly become My Hero! 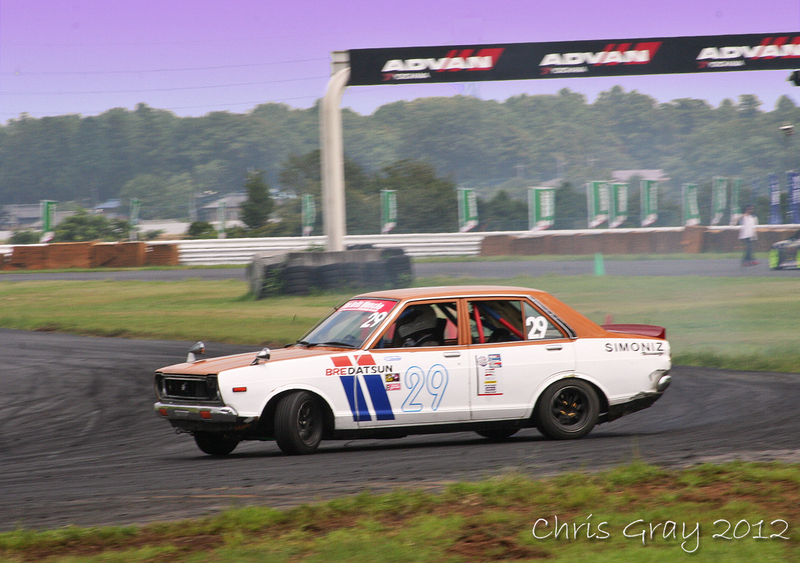 This Guy was Flat out ALL day, Full revs, Clutch Kicking and Pure Balls Out Drifting! 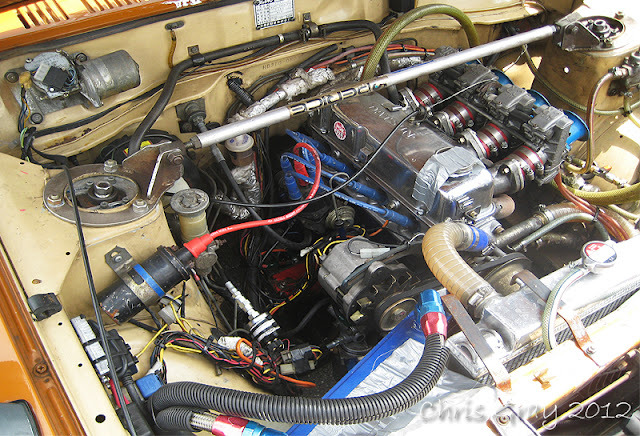 I just had to go take a closer look around this Old School Machine...FCR Carbs, Cola Can Oil-Catch tank, Oil Cap held on with some Ductape, and messy Spaghetti Japanese Wiring!